This plant is new to us in 2015, but was originally bought over to Europe in the 16th century. N. rustica is a native of N. America and has been supplanted by the milder and larger leaved N. tabacum to make tobacco products. 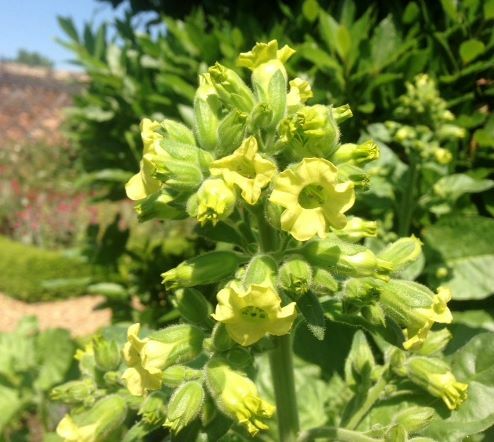 John Gerard in his herbal likened it to opium and called it Indian henbane; with care it could be used as an insecticide and to expel worms. If you visit Cressing this summer you will find N. rustica growing in the Nosegay garden.